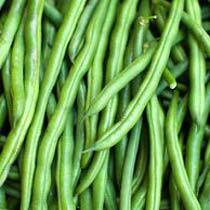 French beans (Veena) are light green pods which feature an average length of 14cm to 16cm. These beans are tender and less fibrous. We are well known Breeder, Producer and Supplier of French Bean Seeds (Veena) in Bangalore, Karnataka. We are capable in offering our customers with superior quality French Bean Seeds, which assists in overall crop production. The seeds supplied by us are of high quality and are demanded in large volumes. Backed by expert team of professionals we are apt in offering timely bulk deliveries to our customers. Fruit : Light Green Pods with average length 14-16 cm attractive tender pods with less fiberous.